Michael Rath is highly regarded for his trombone designs, but what is less well known is that he spent ten years working with Paxman’s making French Horns. The JP261 Rath incorporates many other sophisticated Rath design elements and draws on Michael Rath’s collective experience at Paxman and at Rath creating custom instruments for some of the world's more demanding players. The JP261 Rath provides an instrument that is affordable to students but that deliver performance that challenges models many more times its price. 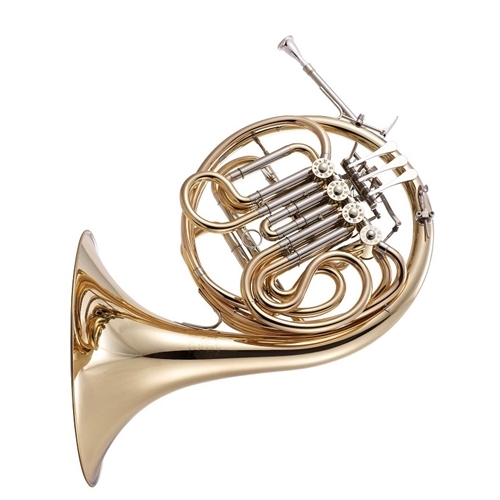 The JP261 RATH features: Constructed from high grade 80:20 brass throughout Includes an exclusive Rath designed leadpipe Neoprene valve bumpers and mechanical (ball & socket) linkage Adjustable and reversible Bb/F lever for those who prefer the horn to stand in Bb rather than F. The thumb lever, finger hook and ducks foot can all be adjusted to ensure a comfortable hand position.